Components of Community Grade 3 What makes a successful community? 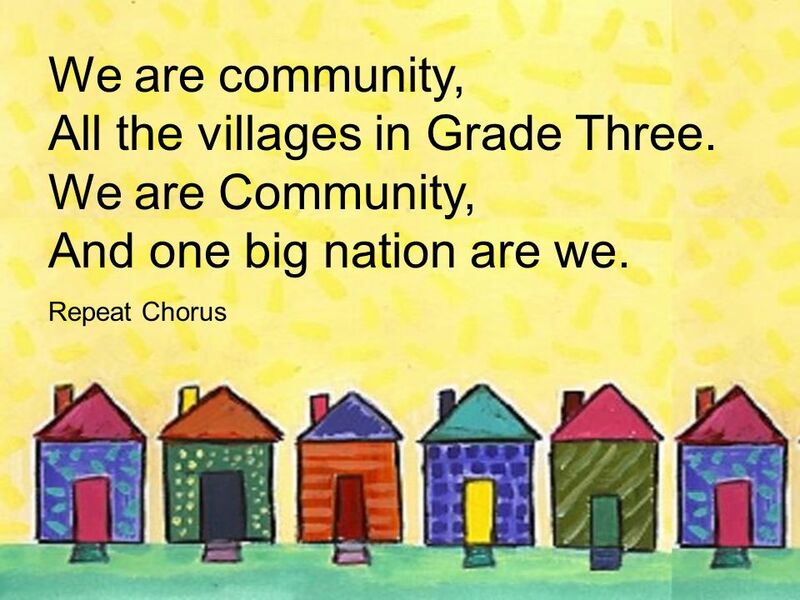 1 Components of Community Grade 3 What makes a successful community? 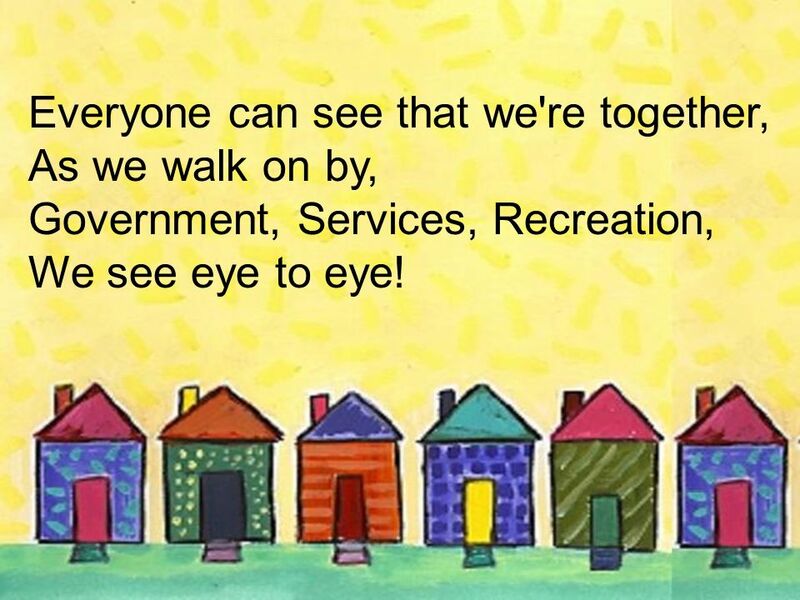 3 Everyone can see that we're together, As we walk on by, Government, Services, Recreation, We see eye to eye! 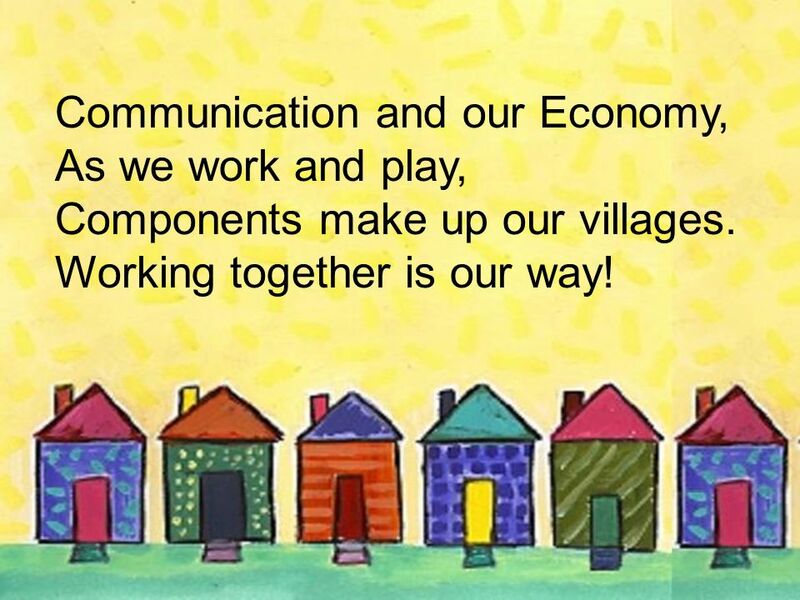 4 Communication and our Economy, As we work and play, Components make up our villages. Working together is our way! 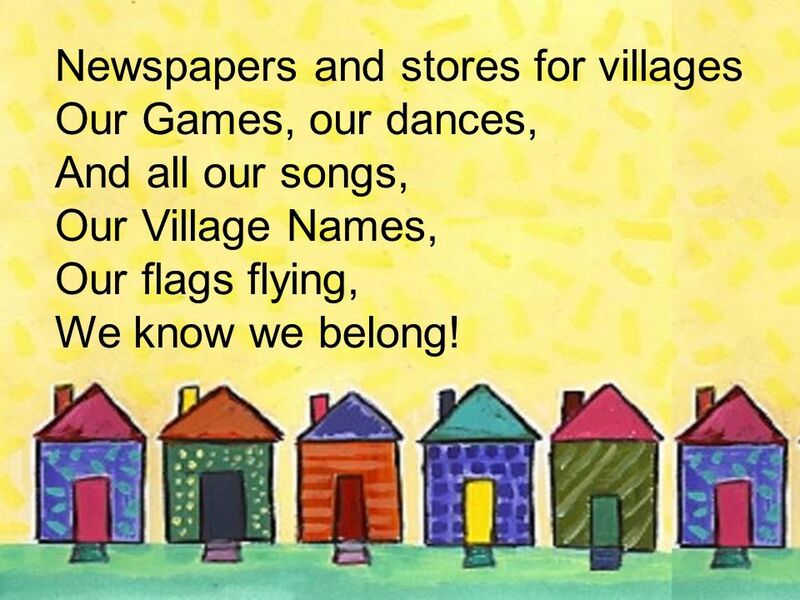 6 Newspapers and stores for villages Our Games, our dances, And all our songs, Our Village Names, Our flags flying, We know we belong! 7 We have rules and earn money, To spend in town. 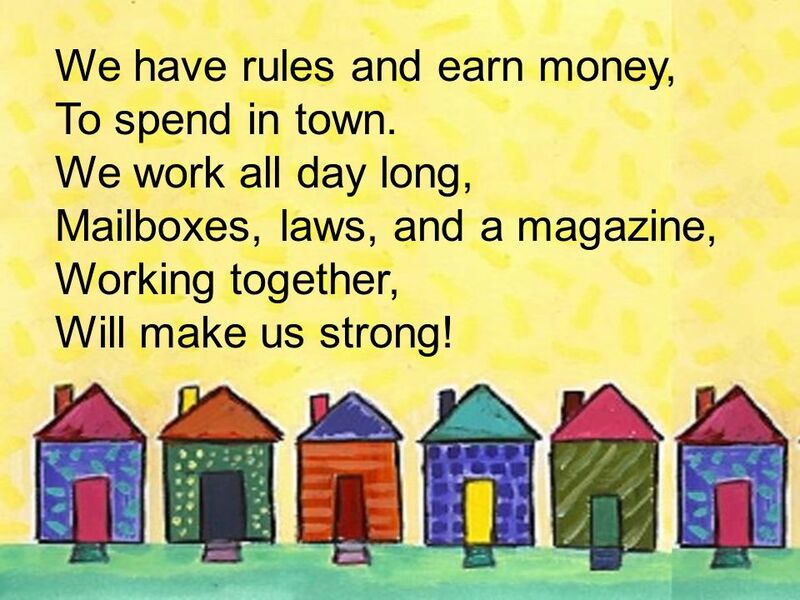 We work all day long, Mailboxes, laws, and a magazine, Working together, Will make us strong! 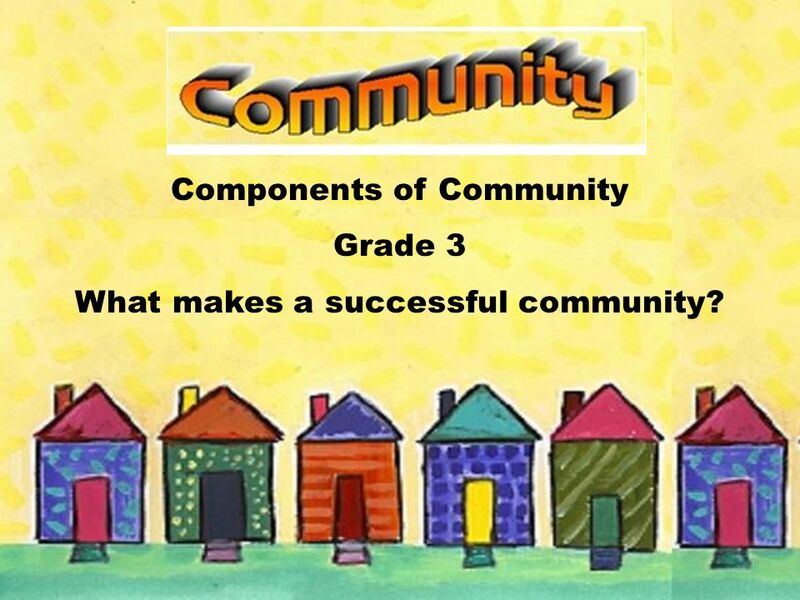 Download ppt "Components of Community Grade 3 What makes a successful community?" Unit 3 At a Music lesson. Make sentences: ……..can…….., ………..cant…………. TASKS SPRING, 2011 The Wide Wide World of Sports. Amazing Words Who Works Here?. Monday  citizen – a person who lives in a certain location. A community has many citizens. 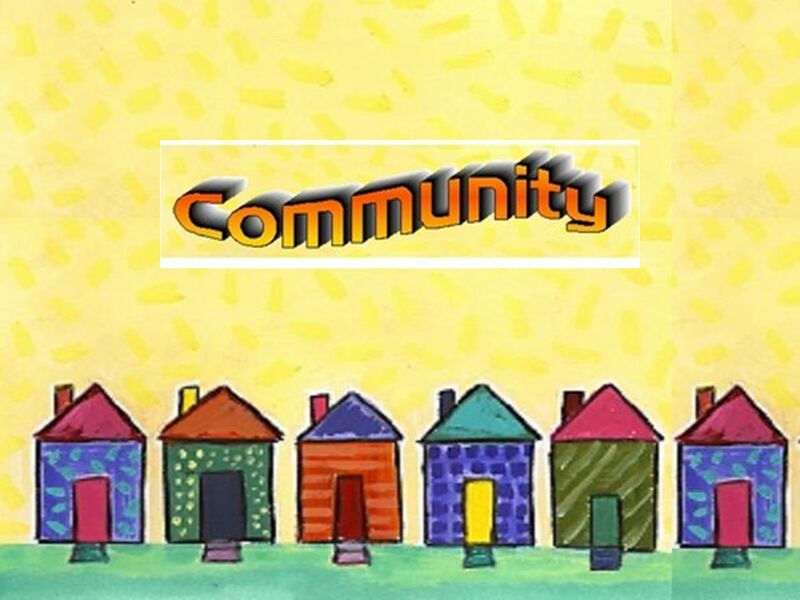  community – the town or city. By Jamuna I went school in Nepal. The name of my school is Sector C, and Sector B.
Annie Bravo! Rongrong Miao. Annie is a little girl living in a small town. She has a peaceful life. Every day, when her parents go out for work, she plays. Economic Systems Song Parody of “Wild Thing” Originally performed by The Troggs Recreated by Mr. Krebs © 2006 KP Krebs’ Productions. Community Helpers Marie Pitsenbarger ED 417. We are… ◦ Mak ◦ Rory ◦ Kirsty ◦ Louisa ◦ Lauren ◦ Ben ◦ Rachel W ◦ Caitlin ◦ Rachel G ◦ Rebekah ◦ Sam ◦ Riona. I wondered should I go or should I stay, the band had only one more song to play. The Community Designed By Mrs. Sullivan Student Teacher Fall 2004. When I Grow Up When I grow up, what should I be? Teenage life in Russia By Ann Boytsova. Citizen Me! ALL Part One the LAYERS to YOUR CITIZENSHIP. Community Helpers An Alphabet Electronic Book By Mrs. Droggitis’ Second Grade January 2006.